Historians possess the power to shape the view of history for those who come after them. Their efforts to illuminate significant events of the past often result in new interpretations, which frequently conflict with ideas proposed by earlier historians. Invariably, this divergence of thoughts creates a dissonance between historians about the causes and meanings of prior events. The Kent State University Press’s new Interpreting American History Series aims to help readers learn how truth emerges from the clash of interpretations present in the study of history. 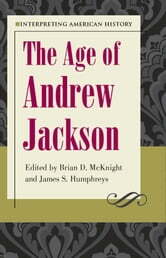 In the series’s first volume, Interpreting American History: The Age of Andrew Jackson, experts on Jacksonian America address the changing views of historians over the past century on a watershed era in U.S. history. A two-term president of the United States, Jackson was a powerful leader who widened constitutional boundaries on the presidency, shaping policy himself instead of deferring to the wishes of Congress. The essayists in this volume review the most important issues of the period—including the Corrupt Bargain, Nullification Crisis, Indian Removal Act, and Jacksonian democracy, economics, and reform—and discuss their interpretation over the last hundred years by such historians as Frederick Jackson Turner, Richard Hofstadter, Arthur M. Schlesinger Jr., Sean Wilentz, Robert V. Remini, Daniel Feller, and David Walker Howe. 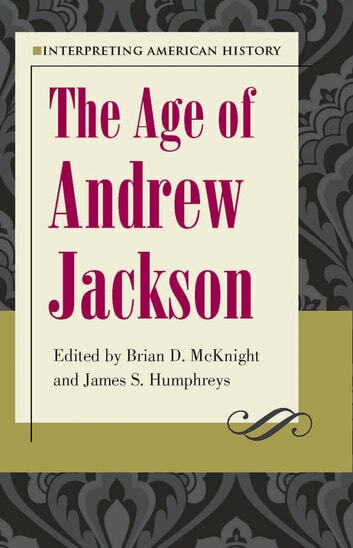 An insightful compilation of essays, Interpreting American History: The Age of Andrew Jackson will acquaint readers with the nineteenth-century world of Andrew Jackson and the ways in which historians have interpreted his life and times.